Historically, there has been a dearth of a comprehensive antitrust and competition legislation in Nigeria. Prior to the enactment of the Federal Competition and Consumer Protection Act, 2019 (“FCCP Act” or the “Act”), the Investment and Securities Act, 2007 (“ISA”) had some anti-trust provisions which gave the Securities and Exchange Commission (“SEC”) power to regulate competition in Nigeria. Before the FCCP Act, the ISA had wide antitrust provisions (when compared with other sector-based antitrust legislations) which mostly regulate SEC’s grant of consent to mergers between business entities. SEC could refuse consent to a merger, acquisition or takeover, on the ground that it is inimical to competition. It could, on the other hand, order the breakup of a company if its activities substantially lessen or prevent competition. Another instance of sectorial legislation with antitrust provisions is the Electric Power Sector Reform Act, 2005 which regulates the power sector. In addition, certain sector-specific regulations are also in force to govern competition within various sectors. 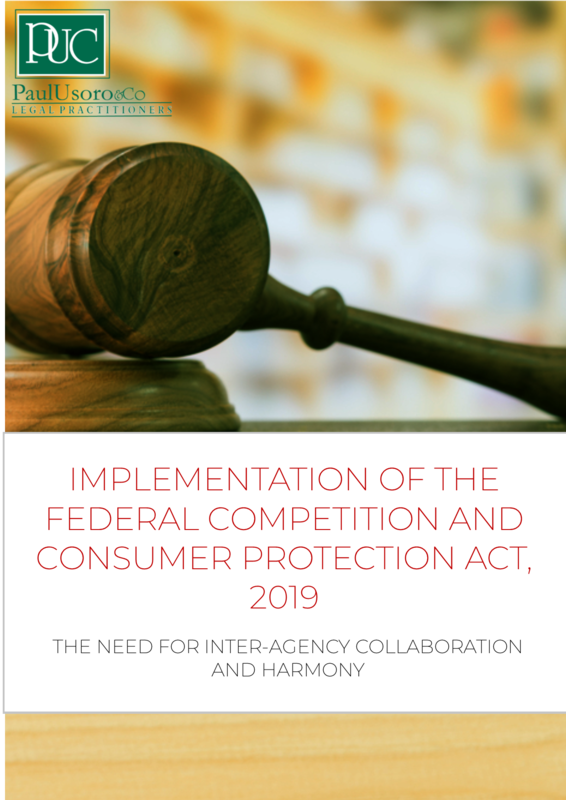 However, to provide for an all-encompassing and comprehensive legislation to regulate competition and protect the interests of consumers across all sectors, the FCCP Act was enacted.